Long Diaper Caddy - perfect for a narrow - long space on the Changing Table or Dresser. 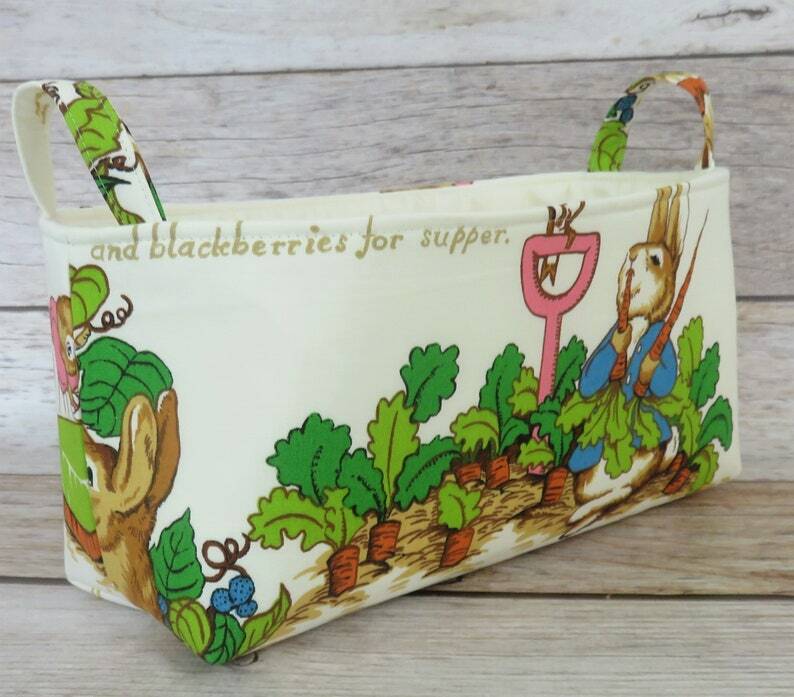 ● Peter Rabbit Fabric - Vintage Beatrix Potter Fabric - for the outside. ● Solid Cream fabric for the lining. Thanks Karen I just got it and it’s gorgeous, will fill it with children’s books as a baby shower gift. Darling cloth basket. I love the color - so bright and such a fun design of fabric. Thank You.